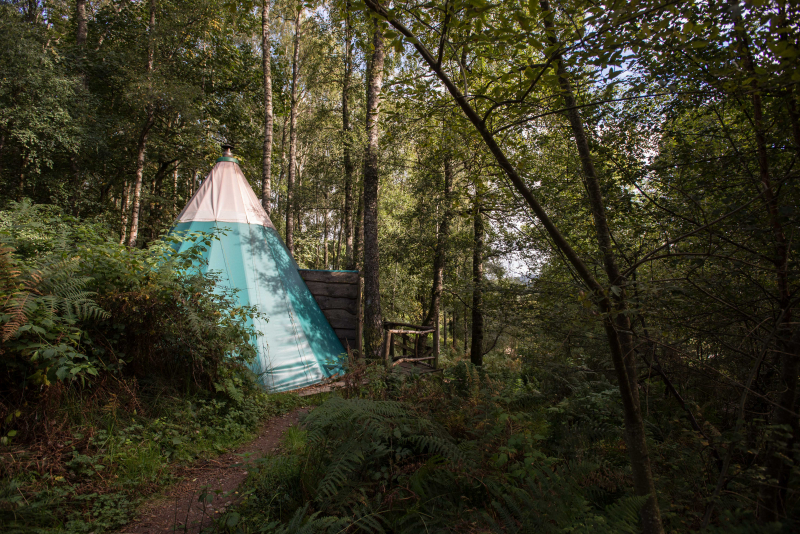 Our unique handmade kata tents are the ultimate wild camping experience without the hardship. Go to sleep to the sound of the deer and owls outside, or (if you are lucky) the silence of snow falling! 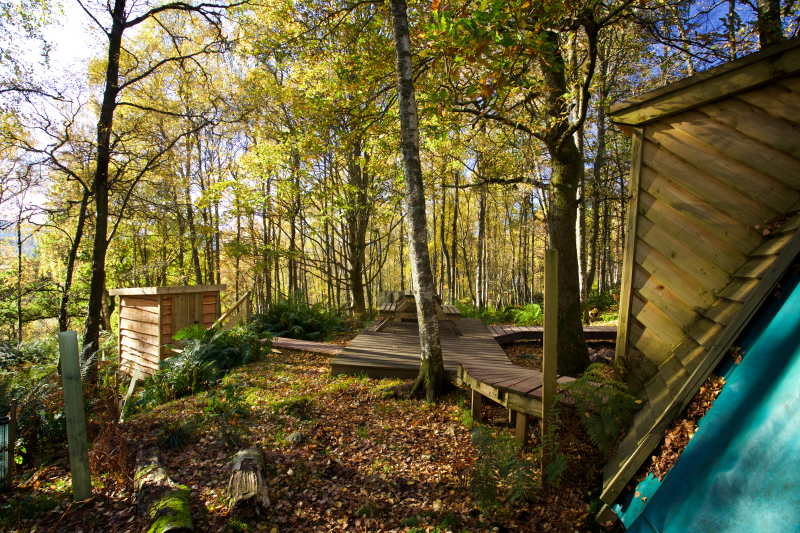 Six of the seven katas are set in open birch woodland around 1-2 minutes walk from the facilities. Kata 5 is located next to the low meadow with its own private boardwalk and car parking space. 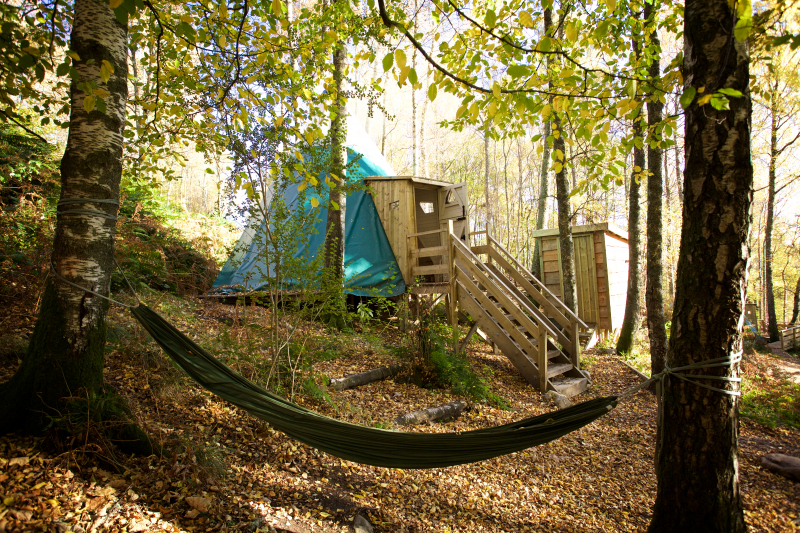 It's the nearest to the campsite facilities, perfect for families and it has been made wheelchair accessible too! All the katas are hand-crafted by Croft staff to make them really amazing, and they now have toilet out houses too! 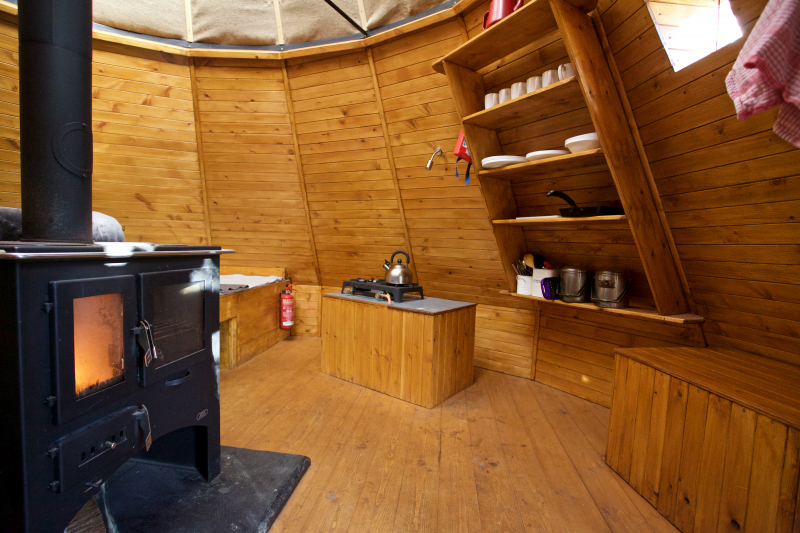 You can keep cosy in them in all weather using the wood-burning stove in the centre of the tent. 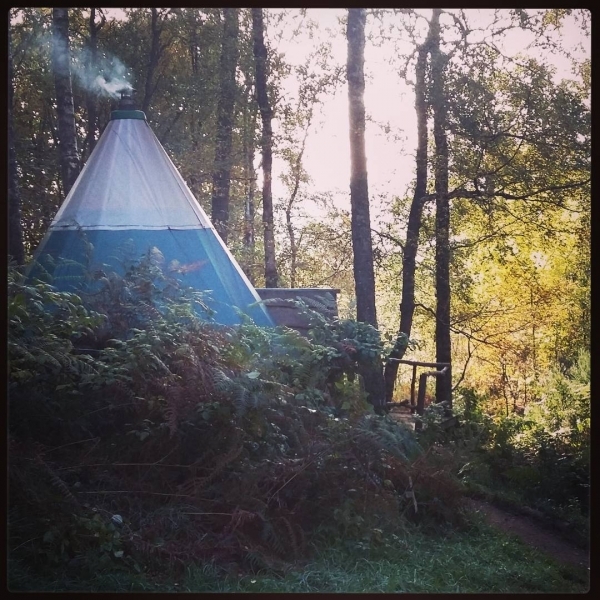 We've had people staying in them happily when its -15C outside! 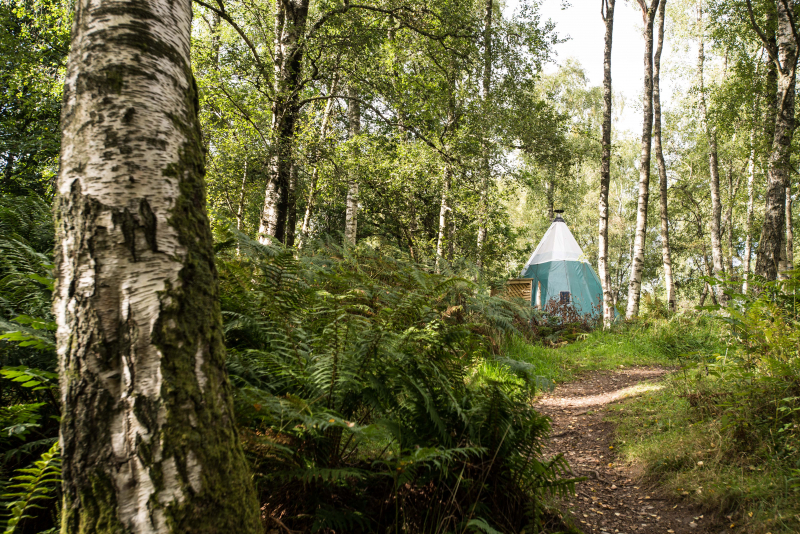 They are furnished with throws, cushions, solar powered lighting, and all the camping essentials you need, including homemade furniture. 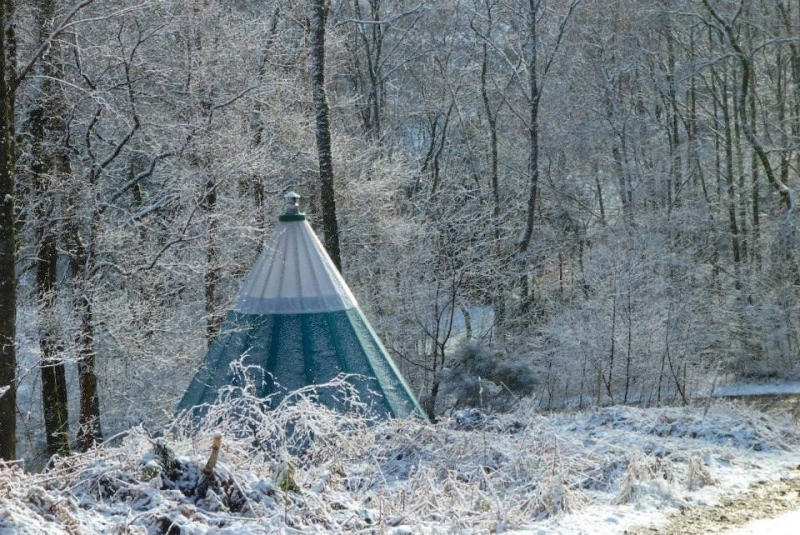 6m diameter tipi style tents, completely waterproof. Recommended and equipped for 6. Couples love them. 4 adults is comfortable, 6 is a squeeze. 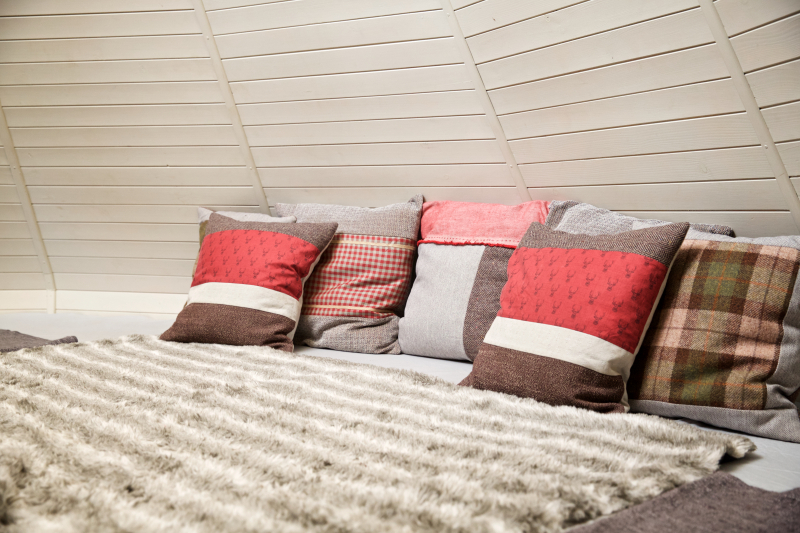 The hand-crafted alpine style bed is one huge comfy area, so it works best if you all know each other quite well. 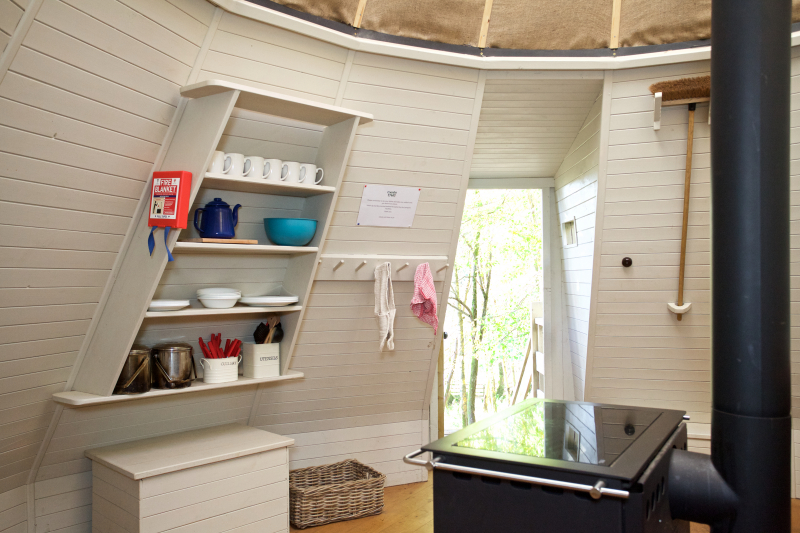 Included inside: wood-burning stove for cooking & heating, 1 sack of firewood (more is available @ £6/sack), cushions and throws, all basic necessities for 6 people to cook, eat & clean up. 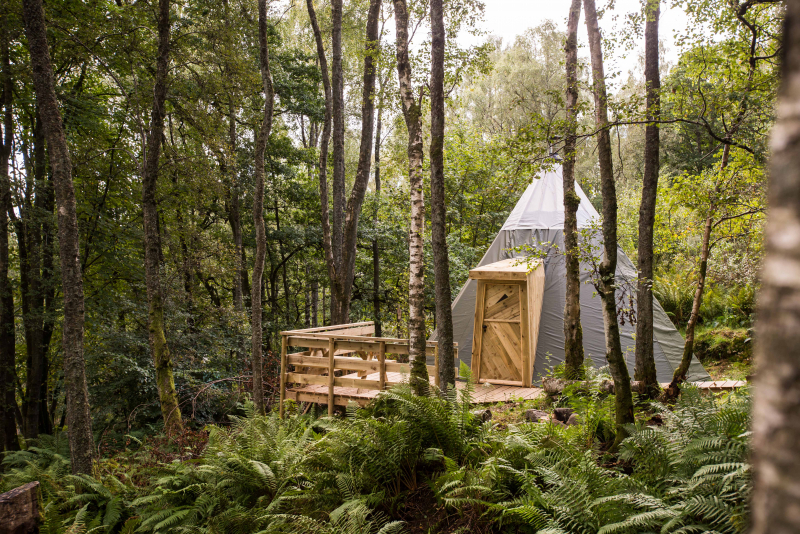 1-2 minutes walk to piping hot showers, toilets, lockers with charging points (£1) & a microwave. Towel (or hire one from reception - £2). A torch (ideally head torch). 2 night minimum booking if you include a Friday or Saturday night. When booking online the computer allocates katas randomly, if you want to check which kata you have been given please call 01764 670140 or email. Give us a call on 01764 670140 or use the button below to book.